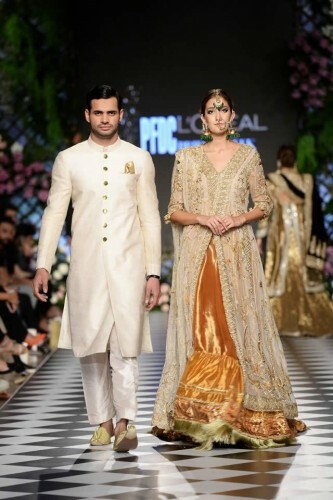 The leading and top ranked fashion designer, Nida Azwar has launched the latest and innovative dress collection, Rani Bagh bridal collection at PFDC L’Oreal Paris Bridal Week. 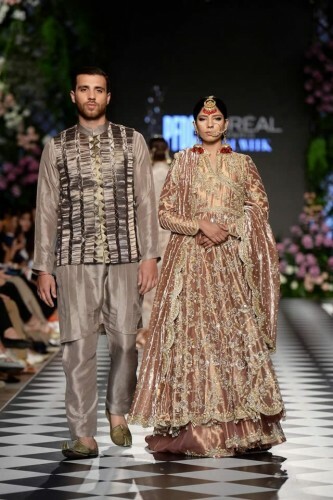 The evening of the fashion show was opened with the solo show presented by Nida Azwar, who has shown her bridal collection, Rani Bagh’ at PFDC L’Oreal Paris Bridal Week. 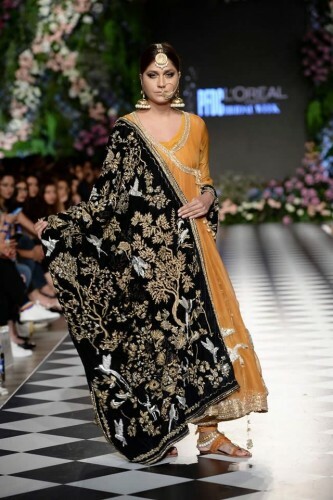 The collection has drawn the inspiration from royal courts and gardens of Mughal era and the dresses for the female were prepared with maron, zardozi, wasli, kamdani, mirror work, fine silk thread and gota work. The different kinds of kalidars, angharkas, peshwases, are paired with wonderful and excellent lehngas, izars, farshi ghararas and chooridars. 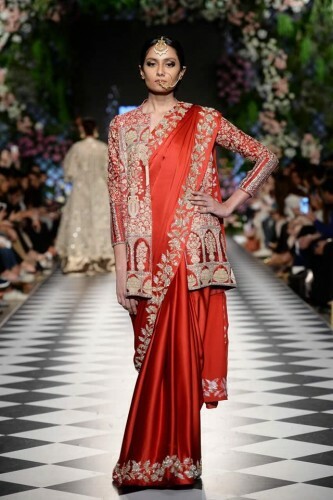 They are added with richly worked dupattas and chaddars. 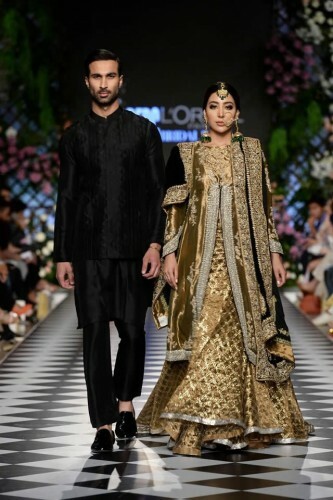 The collection shows that the fashion designer has great love with birds and horses and they are intertwined with delicate florals and paisleys. Nida has made the collaboration with Ali Javeri jewelers to design the ‘Mughal Treasures’ with shoes by Soma.